Embark on a new adventure as a Pokemon Trainer and catch, battle all new Pokemon on the tropical islands of the Alola Region. Discover the Z-Moves and unleash these intense attacks in battle. Call upon Pokemon with Poke Ride to discover new areas across the region and take on the Island Challenge Trials to become the Pokemon Champion ! 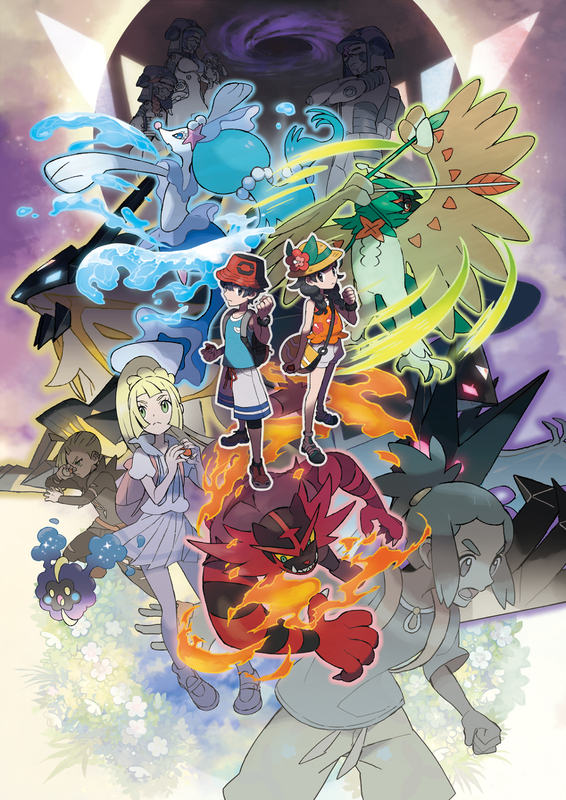 Take on the role of a Pokémon Trainer and encounter Pokémon, uncover new tales, and Unravel the mystery behind the two forms reminiscent of the legendary Pokémon. These new titles power up the Pokémon Sun and Pokémon moon content with new story additions and features, earning them the name "ultra!" another adventure is about to begin. The game now runs a lot much better. It runs at 100% speed even on Core 2 Duo E8600 so I thought of publishing it since this game is a lot much better than many PC Games out there. Thanks a lot :) I've played all titles except Sun and Moon.I used to be a huge pokemon fan.Pikachu and his friends have been around since my childhood.It's really hard to believe that it's been 23 years since the series began.I've been keeping a close eye on Citra too,as there are no more new titles on the 2DS and NDS systems.It's really good to see how far they've progressed in such little time.Most of the emulators like Desmume and Dolphin took years in the making before they were perfected. I am a huge Pokemon fan although I have started to hate some of the things about its Anime series. But I love every Pokemon games, played them all from the DS/3DS Family even the Mystery Dungeon and Ranger series. Mystery Dungeon: Explorers of Sky has a remarkable story, it made me cry when I was a kid lol. Yup.I've been played GBA and N64 games too(lol,even Pokemon snap). All this time they've been doing pretty good...but it looks like that they skipped Gym battles this season,which really infuriates me.Plus,Ash is getting younger instead of getting old...god,why is a Pokemon champion runner up going to a school on a Honolulu-like island......plus,genetically modified Pokemon :O.They really need to bring the series back on track(just like the good ole days of classic adventure and uncomplicated fun) & as far as I hate to say it,I think it's about time we said goodbye to Ash. p.s. I'm a big fan of the Mystery Dungeon and Ranger Series too.I personally Loved Red Rescue team and explorers of time.I also loved the Original Pokemon Ranger game and Guardian Signs(I played Shadows of Almia too,but I don't really remember anything).I really hope we get to see another Mystery Dungeon game.They're usually packed with a ton of emotional content. Thank you alot sir im a really big pokemon fan since childhood,keep up the good work! If Pokemon Diamond then why not Pokemon Platinum instead ?